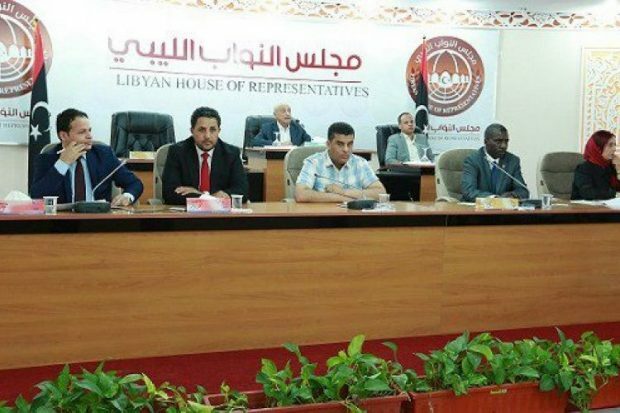 20 members of Libya’s eastern-based House of Representatives (HoR) demanded on Sunday to hold a session to vote on a bill criminalizing the Muslim Brotherhood in Libya. “We, along with people of Libya, have followed what the Head of the Higher Council of State Khalid Al-Mishri described as resignation from the Muslim Brotherhood in Libya, claiming that the group was unable to carry out the required revisions,” the statement said. “Members of the House of Representatives and signatories to this statement call on the Speaker of House of Representatives to vote on a bill that criminalizes the Muslim Brotherhood group and consider it a prohibited terrorist group,” the statement added. Khalid Al-Mishri, the Head of the Libyan consultation body of the Government of National Accord, High Council of State, has announced his resignation from the Libyan Muslim Brotherhood Group. In a televised statement on Saturday, Al-Mishri said he was leaving Muslim Brotherhood and will remain involved in the political scene in Libya doing his job as the current High Council of State’s Head. Al-Mishri was elected last year to the post of the Head of the High Council of State, replacing Abdelrahman Al-Sweihli.